One of the region’s best known family businesses welcomed a TV legend as it opened its newest store at the weekend. 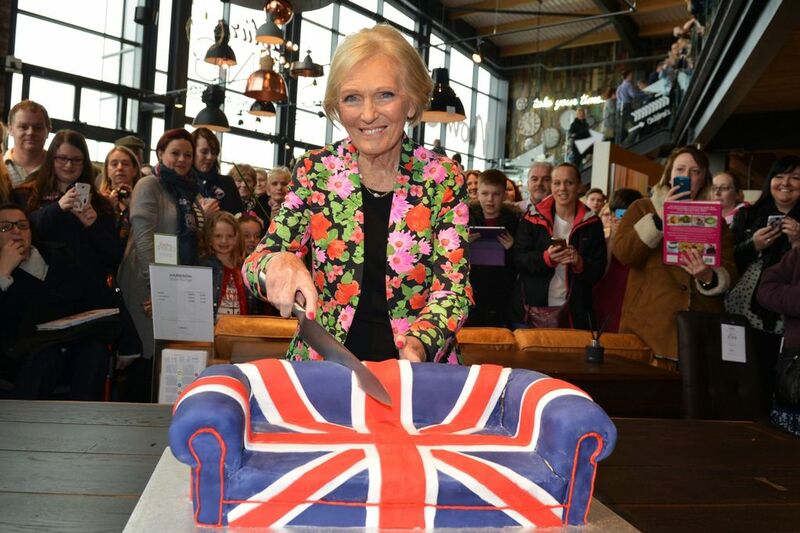 More than 3,000 shoppers and fans visited Barker and Stonehouse’s new Stockton store on Saturday as Great British Bake-Off star Mary Berry cut the cake to mark its official opening. The £4.5m store has revitalised an derelict site, with its nine-month construction involving a number of North East firms. The new store marks a return to Barker and Stonehouse’s roots as it opened its first store in Stockton in 1946. Managing Director James Barker said: “The opening of our new store and head office is truly exciting for us, and we were delighted to welcome along so many people to our day of celebration. “Having Mary Berry to perform our official opening really put the icing on the cake – so to speak! – and added to the enjoyment of everyone who paid us a visit. The store has a number of green credentials, including a living wall and specially-designed lighting and heat recovery systems which reduce its carbon footprint by 46%.